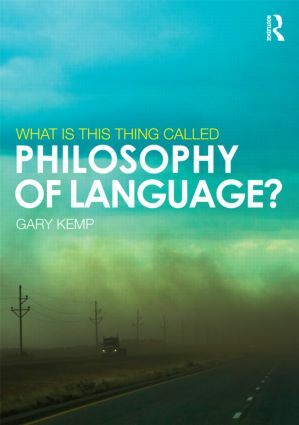 Philosophy of language explores some of the fundamental yet most technical problems in philosophy, such as meaning and reference, semantics, and propositional attitudes. Some of its greatest exponents, including Gottlob Frege, Ludwig Wittgenstein and Bertrand Russell are amongst the major figures in the history of philosophy. indexicality, context and modality. What are indexicals? Quine’s naturalism and its consequences for philosophy of language. Chapter summaries, annotated further reading and a glossary make this an indispensable introduction to those teaching philosophy of language and will be particularly useful for students coming to the subject for the first time.